IPhone - this is one of the first representatives of the family of smartphones, that started the sunset era keypads of mobile phones and the mass popularization of "smart phones". 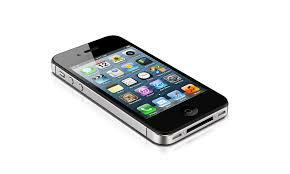 IPhone was released by US company Apple. Its sales began 29 June 2007 of the year. Inferior to the functionality of a conventional telephone at the time, he, However, gained immense popularity and status of a prestigious phone. Its popularity owes much to revolutionary new technology - a large touch screen. Now, To view a webpage, photos, etc.. no need to press a button, By controlling the cursor. Simply touch the finger of the virtual object on the screen (eg, button, links etc) and he will. Modern IPhone models far exceed its ancestor in terms of power, Feature, and the size and design. IPhone battery can "withstand" 6-8 conversation hours or so 16 hours of music. At first sight, Little. But do not forget, that the machine works pretty big screen, additionally performs the function of the mouse and keyboard.